CDC Blog | Quality Investigations, Inc.
An RSS feed of the historical archive of Features from the Centers for Disease Control and Prevention (CDC) home page. Visit the BAM! website, with cool health info including a web comic series. Want a workout you can stick with? Do something you like! Travelers should take steps to prevent bug bites. Learn what you can do to get active and stay healthy. Don’t let diabetes problems keep you on the sidelines. Join CDC in celebrating National Public Health Week. Be inspired to quit smoking by the all-new Tips From Former Smokers® ads. April is Sexual Assault Awareness Month. Help promote healthy, respectful relationships. Parent of a teen? 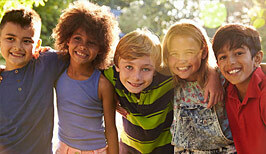 Ask pediatrician about screening for substance use. Would you know how to spot a seizure? Learn more about the many seizure types! Learn about cerebral palsy and what signs to look for in young children.